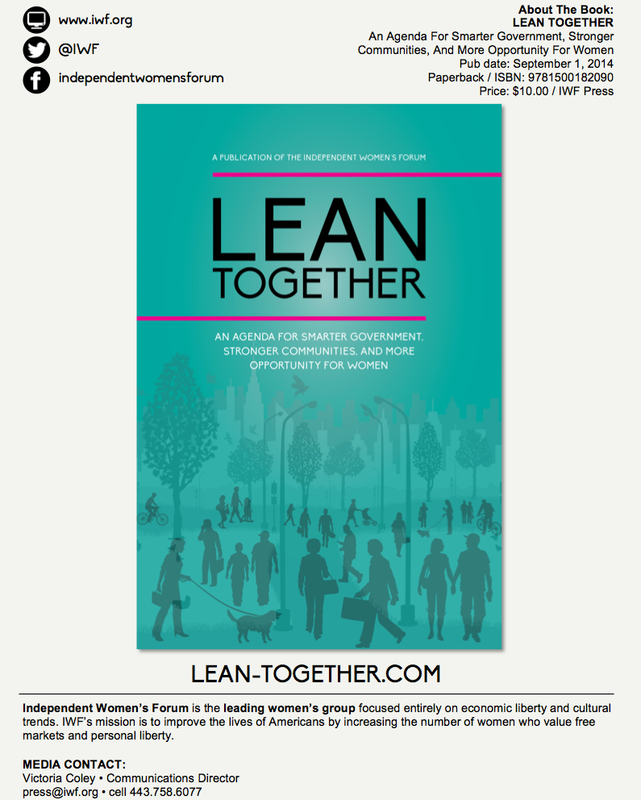 WASHINGTON, DC - Independent Women's Forum released its newest book LEAN TOGETHER: An Agenda For Smarter Government, Stronger Communities, And More Opportunity For Women (September 1, 2014; Paperback $10.00). 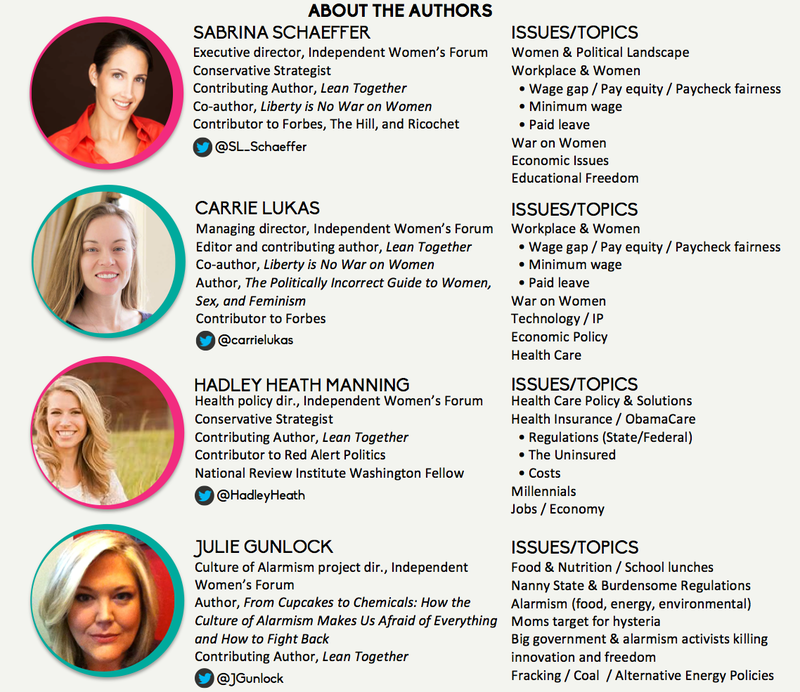 LEAN TOGETHER is 12 chapters, all written by female authors, and uncovers the issues and policy reforms that can move us in a positive direction towards thriving American communities. 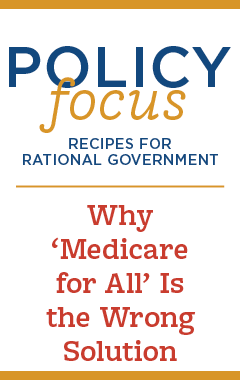 For too long progressives in Washington have put forth a picture of America in which government is the solution to every problem, where a nanny state dictates our children’s lunches, provides one-size-fits-all health care, controls our education, and even determines what kinds of light bulbs we use. We’ve not only lost sight of what a healthy society looks like, but also forgotten that government is not the only – or even the best – solution to society’s ills. 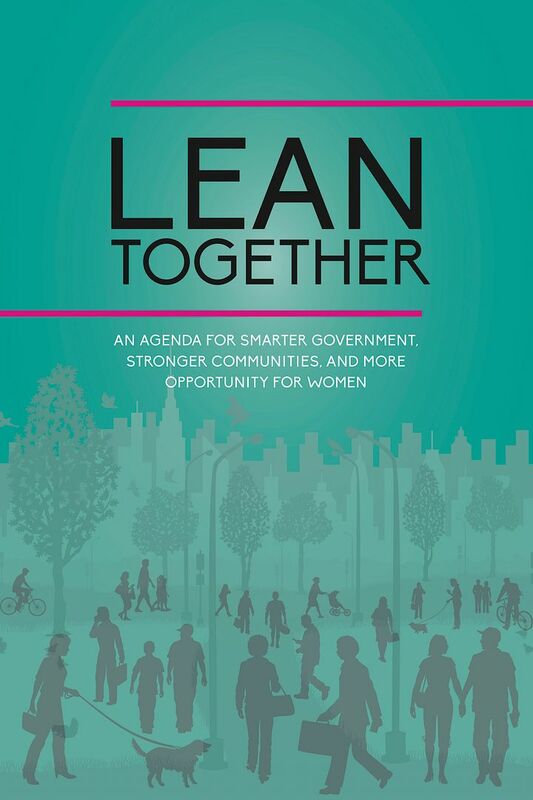 No society or government are perfect, but LEAN TOGETHER proves that we can certainly do better than we are today. 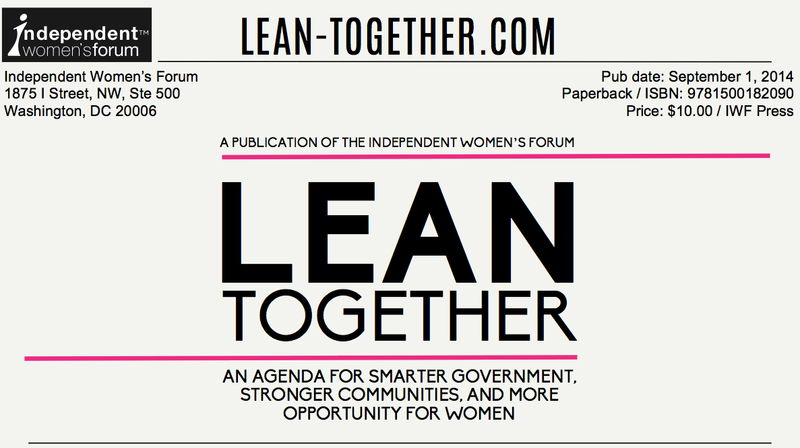 LEAN TOGETHER presents a better vision for America: Smaller government, stronger communities, a vibrant economy, and more opportunity for women and men alike. 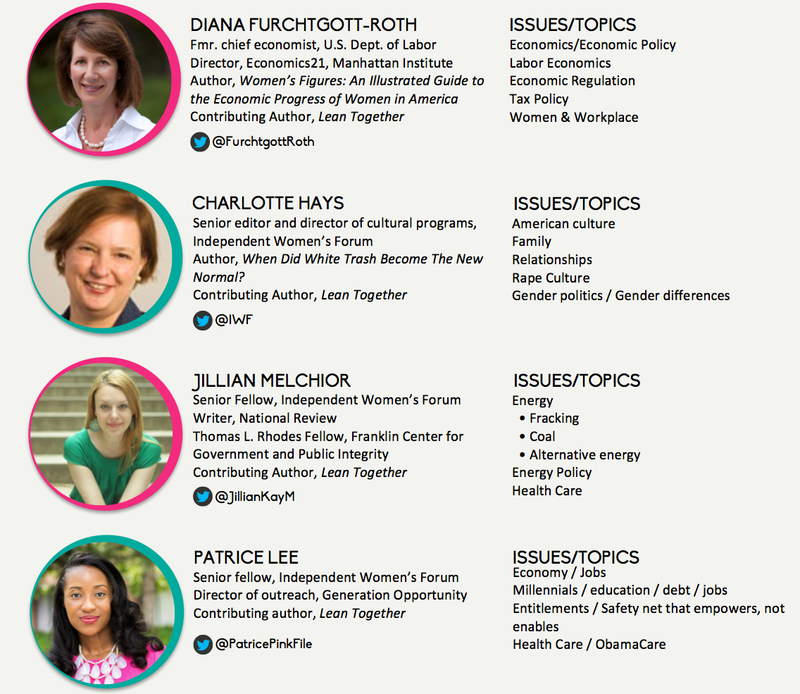 It covers a wide range of issues from childcare and early childhood education, to the workplace, food and agriculture policy, health care, poverty, technology, and more. LEAN TOGETHER puts forth a positive agenda in which republican ideals of limited government, virtue, and self-improvement are re-imagined. 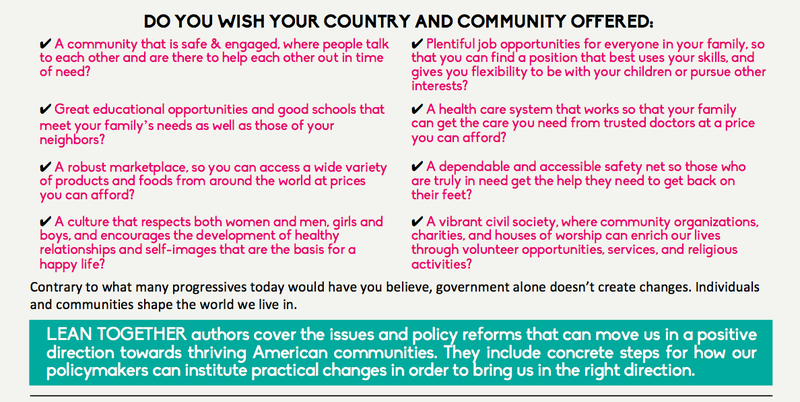 It offers concrete policy solutions to challenges that face our country and especially women and their families that will rein in the progressive state, streamline government, and strengthen our economy. The IWF doesn’t believe in a go-it-alone society. That’s why LEAN TOGETHER calls upon Americans – women and men alike – to join in making changes to ensure our communities provide greater opportunity and the potential for fulfillment, and to help us restore the idea that more freedom – not more government – is what will create true health, security, prosperity, and ultimately happiness.